Aggressive and unique shell design eliminates bulk and maximizes utility and function. Injection molded ABS/PC shell reduces weight while maintaining durability and aggressive design. Dual density EPS internal foam for impact absorption. Stainless steel D-Ring chinstrap closure. Ten intake ports work together with five rear vents to provide maximum air intake and exhaust. Unique fixed visor system allows more direct air channeling through center channel. Removable/washable inner cheek pads and crown liner system. Excellent quality and fit and finish is beautiful would buy again looks like the pro's definitely recommend this. What is the weight of helmet? BEST ANSWER: This helmet in a size large weighs approximately 4.5 lbs. BEST ANSWER: It’s not as padded as other helmets I’ve worn, however it is comfortable and very lightweight. Great helmet for the price. 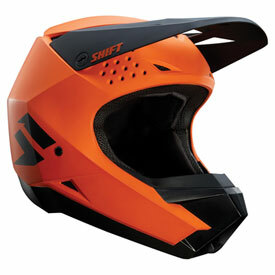 This helmet is very comfortable and very light but still solid I love it, great quality would buy another if I had too. Comfortable for the price, it feels a little cheesy but that’s my only complaint. What is the headshape of this helmet? BEST ANSWER: I bought this helmet for my son, and his head is semi oval and round. He wears sz xl and it fits perfect, hope this helped.